It was a brilliant start with the Mediterranean Salad. The stunning presentation was matched by incredible flavour, with the generous chunks of lamb well spiced and succulent. Accompanying the protein was a mixture of crispy fried kale and crunchy cauliflower. The smear of Beetroot hummus offered up a creamy yet earthy sensation that was well combined with the salad itself. The Spinach and Ricotta Filled Pasta Shells certainly didn’t disappoint either. Within each giant seashell pasta was a generously filled mixture of spinach and ricotta. 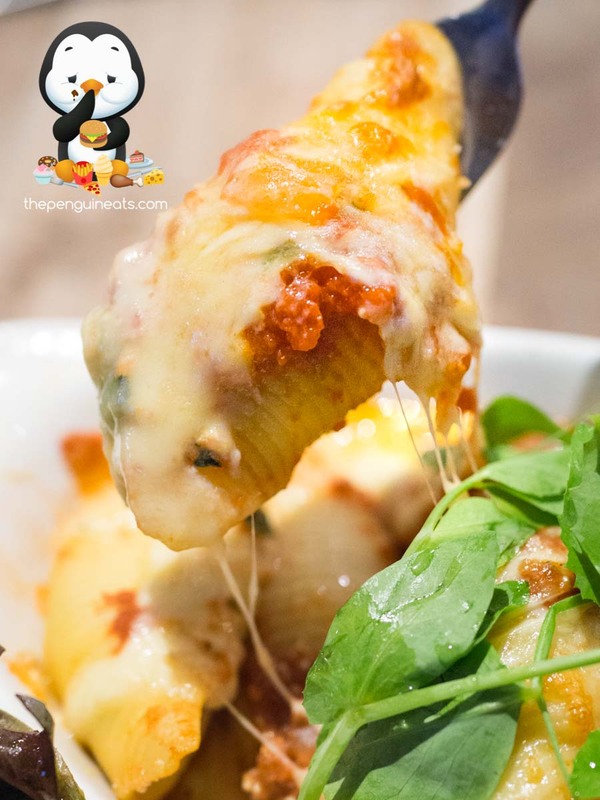 Light and creamy without being overly rich, the pasta was pillowy soft and well accompanied by the baked, cheesy napoli base their surrounded it. Alongside was a huge serving of fresh salad which was lightly dressed and offered up a refreshing tang. We also enjoyed the Seafood Paella. 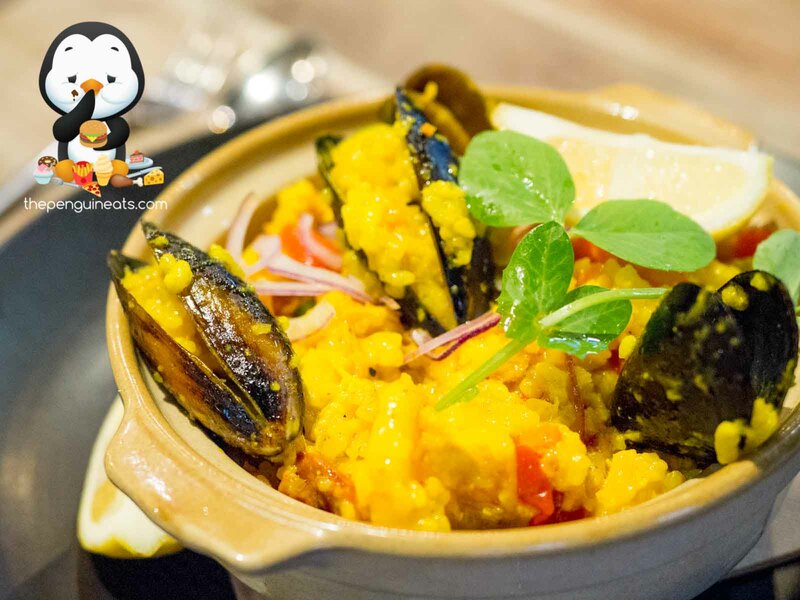 Unconventionally served in a clay pot, the beautiful saffron rice was beautifully soft and exhibited a stunning golden yellow colour. 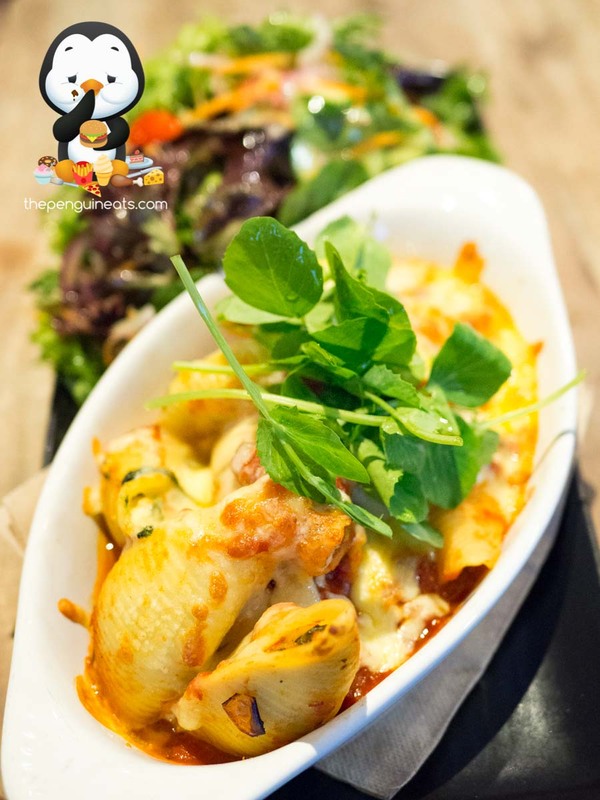 With a pleasant seafood sensation permeating throughout, we found the prawns and mussels within fresh and plentiful, which was well accompanied by slices of chorizo and tender chunks of chicken. We concluded our meal with the Hello Cupcake Crazy Shake and the Panna Cotta. Both equally stunning in appearance, these massive desserts were bound to satisfy any sweet cravings. 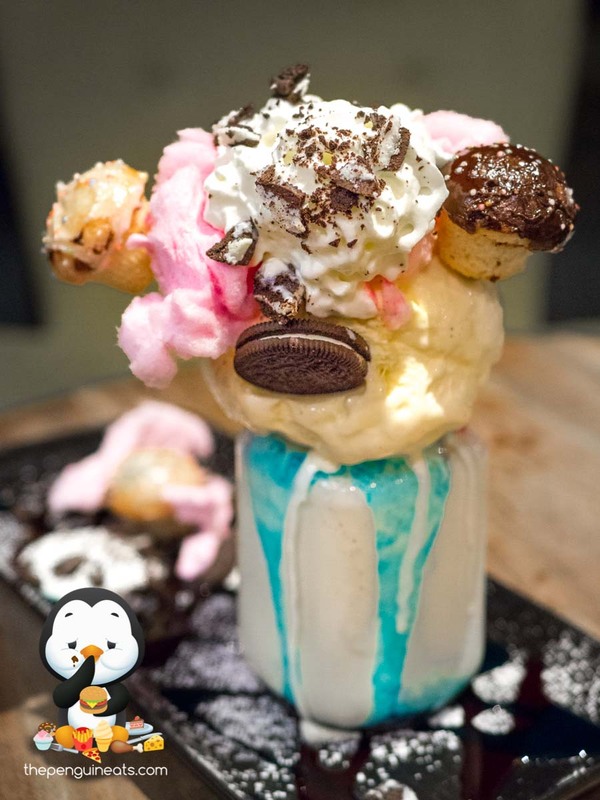 Our Cupcake Crazy Shake was filled to the brim with a vanilla milkshake, then further topped with a humongous scoop of vanilla ice cream. 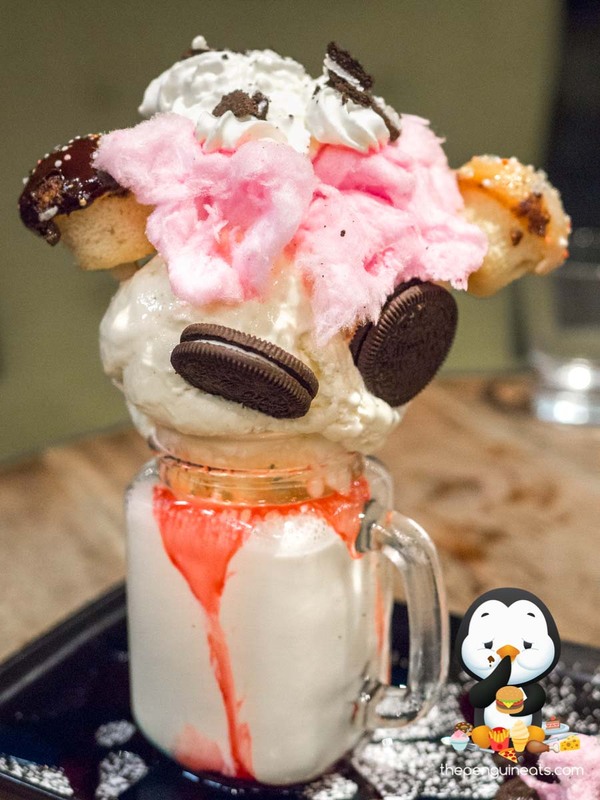 Sitting on top were the still-warm, soft cupcakes, which were well complemented by oreo biscuits and fairy floss. The White Chocolate Panna Cotta was arguably less outrageous, though still equally tasty. 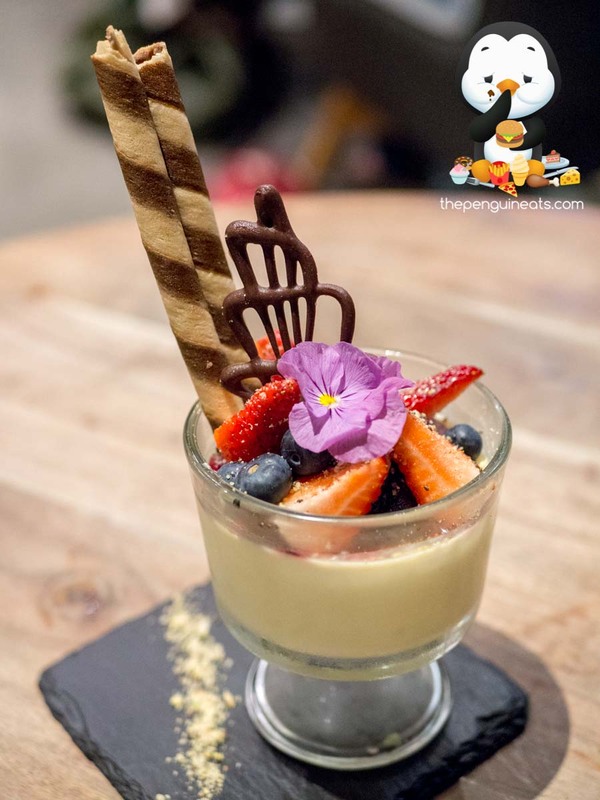 Plenty of fresh berries ensured that the sweetness of the panna cotta itself was well-balanced without being overwhelming. The pudding was creamy and silky smooth, though the consistency was a tad firmer than expected, perhaps due to the white chocolate mixed within. The Arancini unfortunately fell short in expectations on this occasion. The thin outer crumbing was light and crispy, and the creamy pesto sauce served alongside added plenty of flavour. 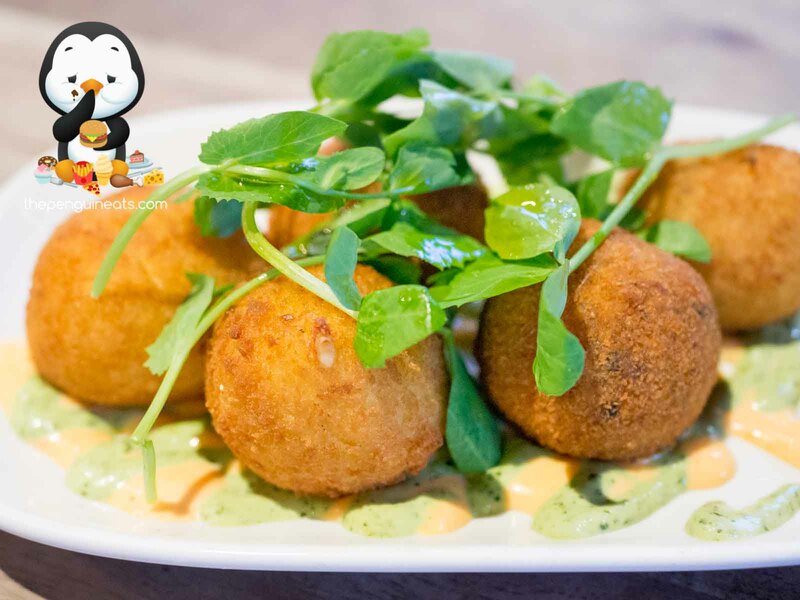 Unfortunately the inner stuffing if the arancini was undeniably bland despite its cheesy appearance, and the whole experience would’ve been rather lacklustre if not for the sauces. 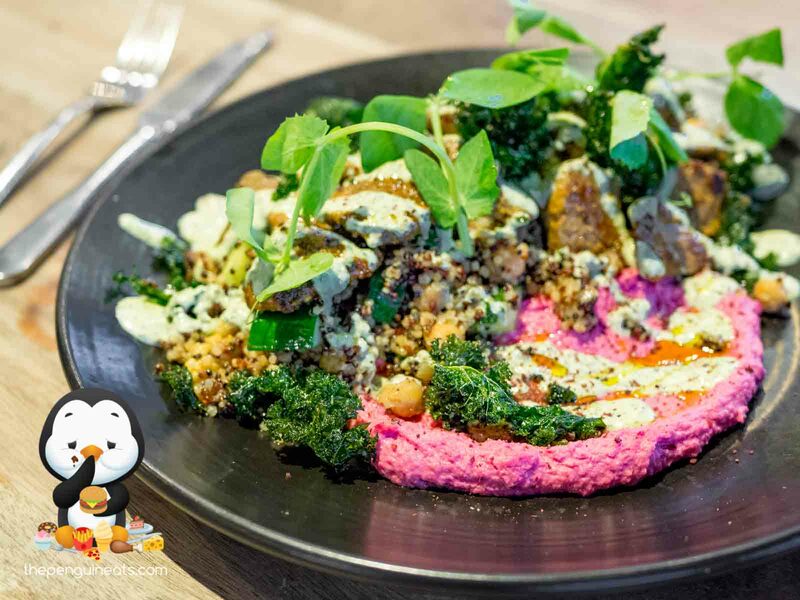 Third Chapter excels as a family-oriented eatery that not only offers up a delicious feed, but great value for money as well. 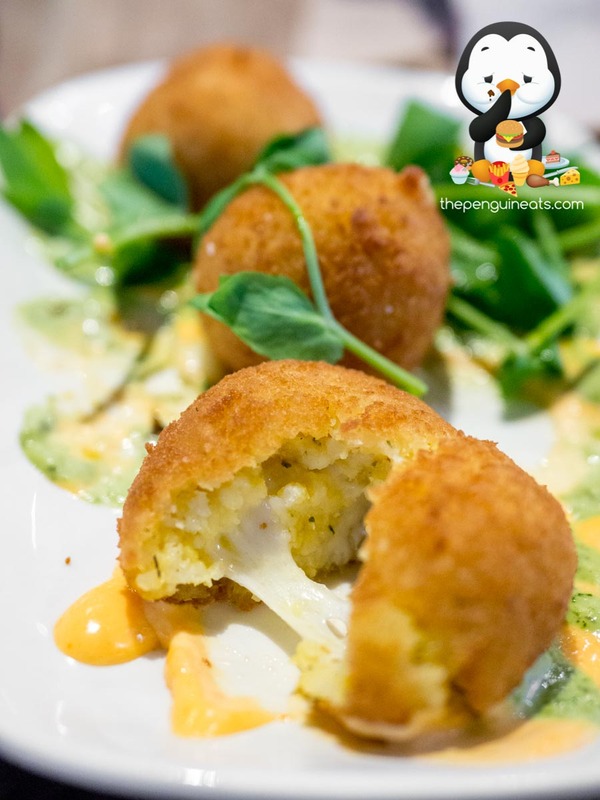 We were pleasantly surprised by this visit, mostly thanks to the more-than-generous portion sizes that are bound to satisfying your hunger, as well as a diverse menu that undoubtedly caters to every taste. Needless to say, we departed, filled to the brim and very pleased. Definitely. Count us in for more of that Lamb Salad and Crazy Shakes please! 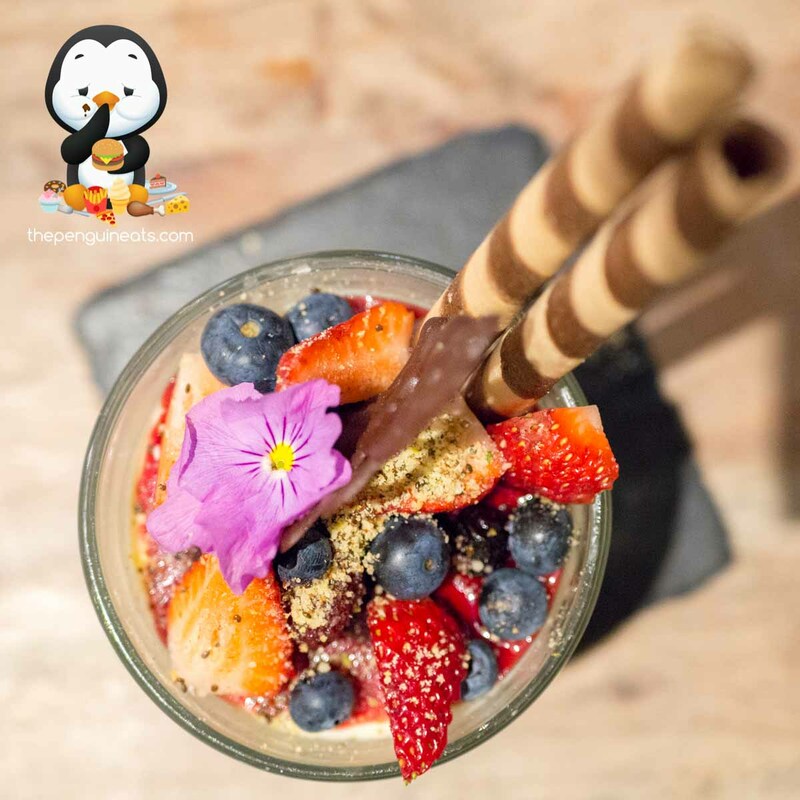 Penguineats would like to thank Third Chapter Eltham for inviting us.